Hilary Meredith look at the aftermath of the Bangladeshi building disaster and the horrors left in its wake. On 24 April 2013, an eight-story commercial building, Rana Plaza, collapsed in Savar the capital of Bangladesh. As it currently stands there are at least 1,042 people said to have died as a result of this horrific incident with thousands more suffering serious injury. Many pulled from the rubble and had to undergo amputations due to the severity of their injuries. This incident is considered to be the deadliest factory accident in history. The building consisted of a multitude of public outlets including clothing factories, a bank, apartments, and several other shops. The shops and the bank on the lower floors immediately closed after cracks in the building were discovered. It is alleged that warnings to avoid using the building were ignored by some occupants. The workers of the clothing factory were ordered to return the following day despite the shops and the bank on the lower floors evacuating immediately upon hearing about the structural defects. Thankfully, such incidents are, even on a minor scale, rare in the UK. Here, construction and renovation companies have to comply with strict building regulations before commencement or completion of such building works, with a view to ensuring that the buildings are in fact safe before the public can occupy them. In addition the Health and Safety Executive (HSE) carry out routine building checks and will, if they find it essential, close buildings that they believe are unsafe, or they will take action against those who put workers at risk of death, illness or serious injury; including employers. As part of their strict measure the HSE will serve Improvement Notices and a total of 4,816 Improvement Notices were served last year alone. In addition they pursued 1,231 prosecutions for breaches of the law. This has resulted in many employees pursuing serious injury claims with a view to receiving serious injury compensation for their suffering. This is a figure that the HSE have recorded and will not take into consideration those work place accidents that go undetected and that employees feel they cannot pursue a serious injury claim. However, despite the potential prospects of prosecution, some employers choose to ignore the warnings notices provided by the HSE, which is akin to the employer in the Bangladeshi building collapse. We have seen recently, with this devastating disaster, what such non-compliance with regulations etc can result in, in this case many deaths and many serious injury, particularly head injury, brain injury, spinal injury including spinal cord injury and amputations. A London based company has been prosecuted over the deaths of three construction workers at a warehouse in Hull. The building in question was due to be converted into a hotel and had been issued with two separate prohibition notices by both the Health and Safety Executive and Hull City Council. Notwithstanding their repeated efforts of notifying the construction company of the hazards, the workers were advised by their employer to continue with the renovation works, which were not being supervised by a planning supervisor or a principle contractor. Regrettably those 3 workers died when the building in question collapsed trapping them beneath rubble. It is not just the structure of buildings that leaves employers at risk of liability it is the equipment and machinery they supply that may also be accountable for serious injury at work. It has recently been reported that a submarine maintenance company in Plymouth was found liable for a serious injury sustained by one of its employees when his hand was drawn into the rotating bar of a drum machine after the employee slipped on a wet floor. It was later revealed that the metal fixed guard had been removed from the machine. As a result of the accident the employee sustain serious injury to his hand, fortunately an amputation was not necessary. No-one should have to suffer due to poor working conditions. In light of the new reforms and the strict liability being removed from employers liability claims, accidents still occur which are the fault of the employer’s negligence which allow for serious injury claim to be made and serious injury compensation to be paid to those employees. 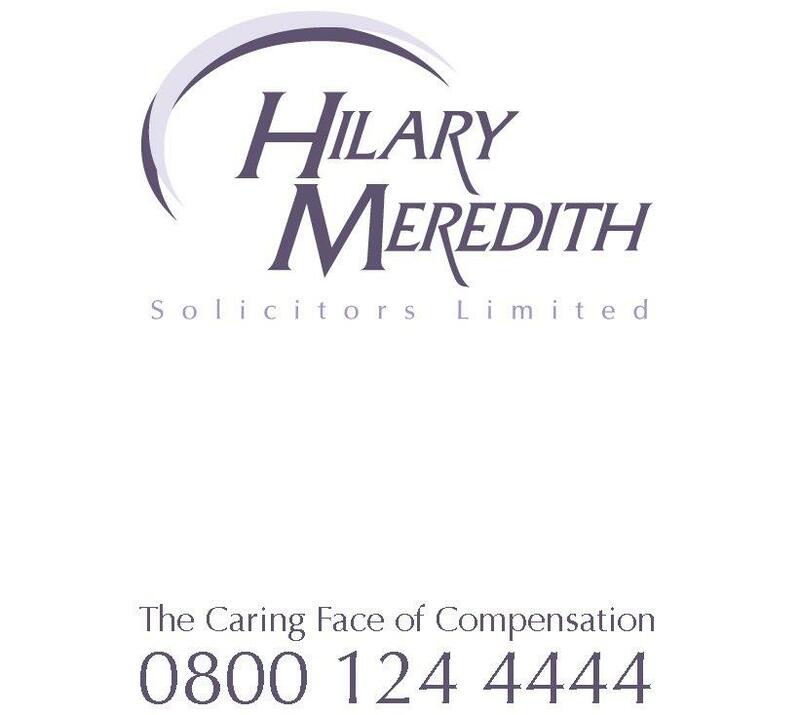 Hilary Meredith Solicitors specialise in all aspects of personal injury and serious injury including Employers Liability, Public Liability, CICA claims, road traffic accidents, military claims and army accidents, head injury claims and Armed Forces Compensation Scheme claims. To discuss your claim for personal injury, call us now.